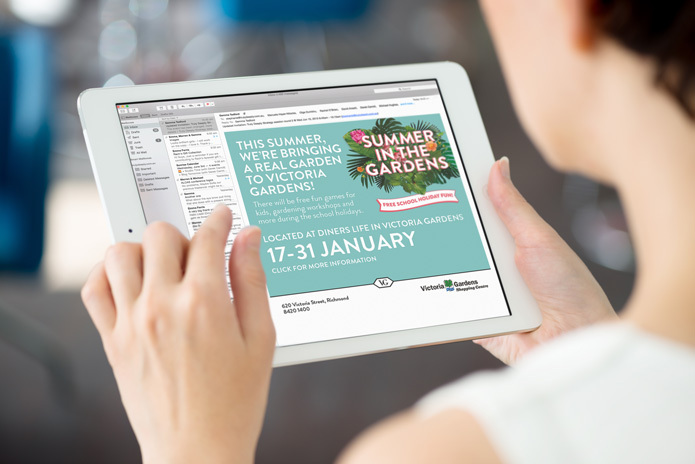 Focused on families, the brand activation started with a creative theme of ‘Summer In The Gardens’, which was activated during the January school holidays. The centre became an urban oasis and a magnet for families, increasing traffic and time in centre. The food court area became an activated garden that was a magnet for families. 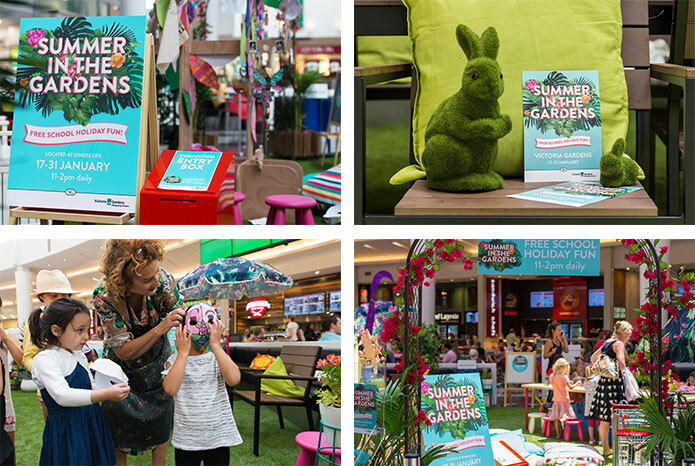 Free activities for the children, retailer engagement and incentives all combined to create a family destination that encouraged not only attracted local families but many from outside the trade area to visit and spend at the centre. More than 1,100 kids took part in activities during two-weeks in the January school holidays. Parents were extremely pleased with the generosity of the free event and families came back multiple times. Retailers in the activation area also experienced an increase in sales in comparison to the previous year. Parents commented that they would love to see the grassed area become a permanent feature. “I loved the use of the general area and the Summer in the Gardens concept, and would like to see it be a more permanent feature”. 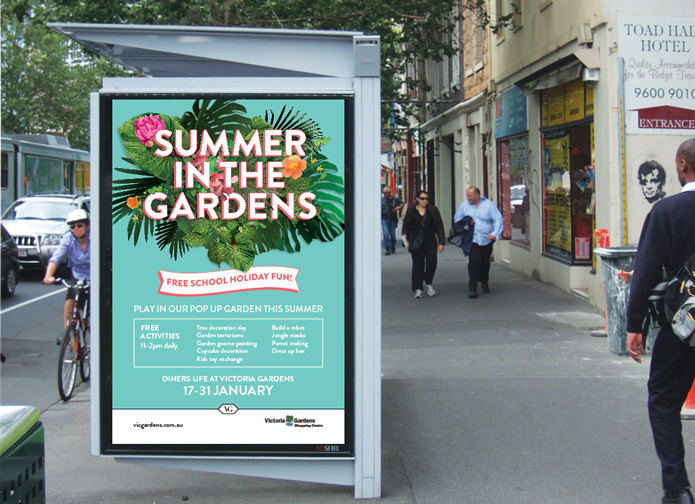 Truly Deeply recognised that there is very little garden in Victoria Gardens and identified this activation campaign as an opportunity for the centre to bring more authenticity to the name and more life and garden into the centre, both through activation and also adding more life to the aesthetics of the centre, therefore proposed that Victoria Gardens own ‘In the Gardens’ as a theme for the centre. 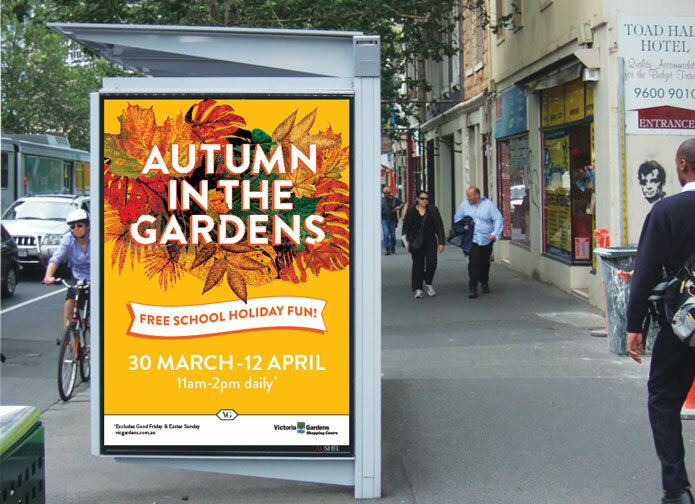 Due to the success of Summer in gardens theme, Truly Deeply worked Victoria Gardens and Pop Union to develop ‘Autumn in the Gardens’ which was activated in time for the Easter break. 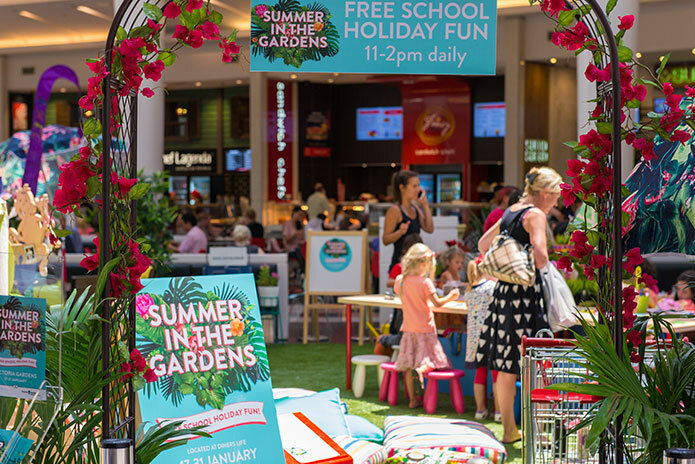 Victoria Gardens is now starting to build brand engagement around the concept of ‘In the gardens’ to keep the centre top of mind with families during peak school holiday periods. Truly Deeply is planning a series of garden themed activation events throughout the year, focusing on Diner’s Life and Fresh Life and outdoor as possible activation areas. Click here to see the full project case study.